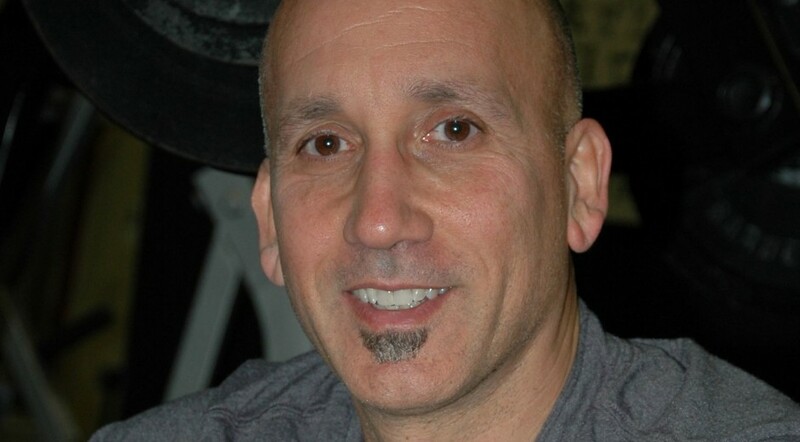 Fred Fornicola is a Fitness Specialist and the owner of Fit by Fred in Asbury Park, New Jersey. Fred has been involved in the field of strength and fitness since 1976 and has authored hundreds of articles. He has been featured in numerous publications including Coach and Athletic Director, Hard Gainer as well as Master Trainer. Fred has been involved in several books and has co-authoring the best-selling book “Dumbbell Training for Strength and Fitness” along with “Youth Fitness: An Action Plan For Shaping America’s Kids” and “50 Workouts for Strength and Fitness: Safe, Efficient and Effective Training with Free Weights” with Matt Brzycki. Fred is also the editor-in-chief for “Strength and Fitness for a Lifetime: How We Train Now” as well as the “High Performance Training Newsletter”. Fred also co-authored with Matt the YouthFIT Certification Program. Tom Kelso: You’re a club owner, author, former body builder, and active sport participant. You’ve trained thousands including athletes and non-athletes from age eight to 80. You’ve also run the gamut of practical applications of exercise modes, prescriptions, and training schedules. After many years of service in the Industry, what do you see as the three most prominent flaws of the average trainee? 3) The get caught up into trends. Too many people take what they read or are told as gospel truth and follow it verbatim. Following along aimlessly is a recipe for disaster in my opinion. I’m not saying that you shouldn’t read or do what others are suggesting, quite the contrary, I think you should, but get as much information as you can. Read, analyze, experiment, evaluate and individualize as much as you can, keeping in mind that it needs to fit your specific needs as a trainee. This is why trends, organizations, magazines, self-anointed fitness experts and the like can cause more harm than good for today’s trainee. More people should take the time to read Eric Hoffer’s “True Believer” and they will gain a greater insight as to those responsible for and those who buy into mass movements. It’s very applicable to today’s health and fitness as well as everyday life. Part II to follow. The link below is to an article I wrote a little while back on how kids can improve academic performance by implementing exercise into their daily program. A fantastic book entitled “Spark: The Revolutionary New Science of Exercise and the Brain” by Dr. John Ratey reveals tons of research and vital information for many aspects of brain health through exercise. The attached article is just one aspect I focused on. It’s 1976 and I’m a sophomore in high school and a movie by the name of “Rocky” comes out. As we all know it’s the underdog just looking to give his best shot – not at winning the title but at just doing his best….for himself. Over the years, the Rocky character has had some memorable lines but in his last movie “Rocky Balboa”, he shares his thoughts with his son in only terms Rocky can relate to – fighting. He analogizes how life will beat you down if you let it, how it’s important to keep pushing no matter what happens. It’s the one thing Rocky knows, and knows all too well. 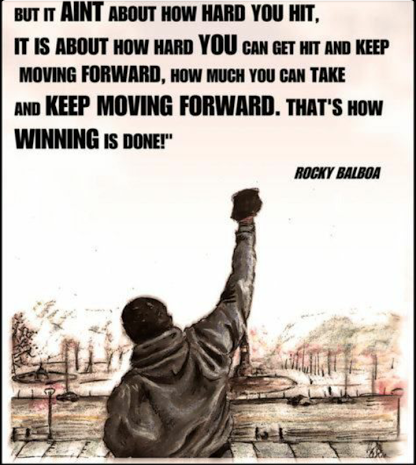 So why does our most famous and beloved fictional boxer offer up these words of wisdom? Because it’s a credo – a credo that should be evaluated on a personal level. How many times have obstacles come across your path and you’ve allowed them to derail your goals? What do you do when times get tough and you want to quit exercising or following your nutritional program? Or better question may be why are you delaying improving your health and fitness? Ask yourself “why”. Why didn’t you keep moving forward, why didn’t you have the desire to win and then give me a call. I find it very interesting that people tend to focus on getting “bathing suit ready” or in shape for “shorts and T-shirt” weather and tend to not put an emphasis on being fit year round. 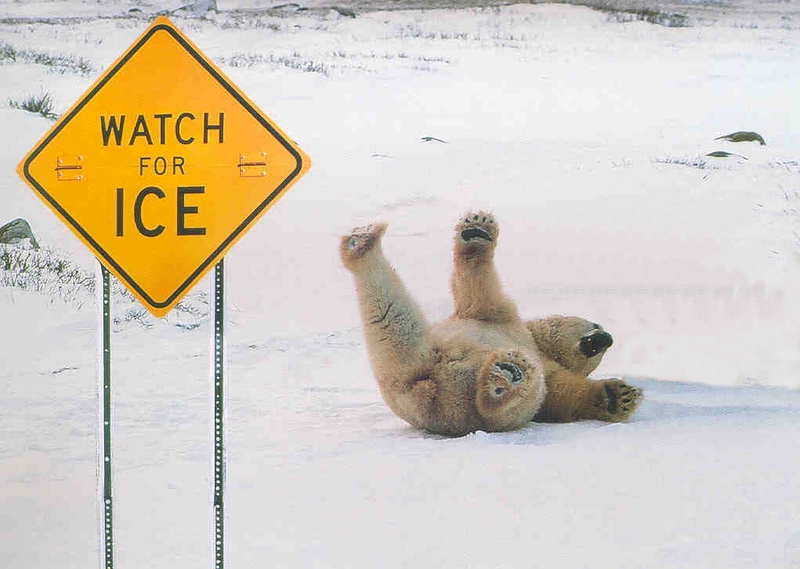 In fact, most people never think about being “winter ready” where here in the North East we are exposed to frigid cold weather, ice, snow and hazardous conditions. More than any time of year the winter month’s is where a strong emphasis on exercise should be placed to help reduce slip-and-falls on icy surfaces, injuries or even heart attacks from shoveling snow and let’s not forget added weight gain from a more sedentary life style when outdoor recreation is limited. So, ask yourself, are you ready?